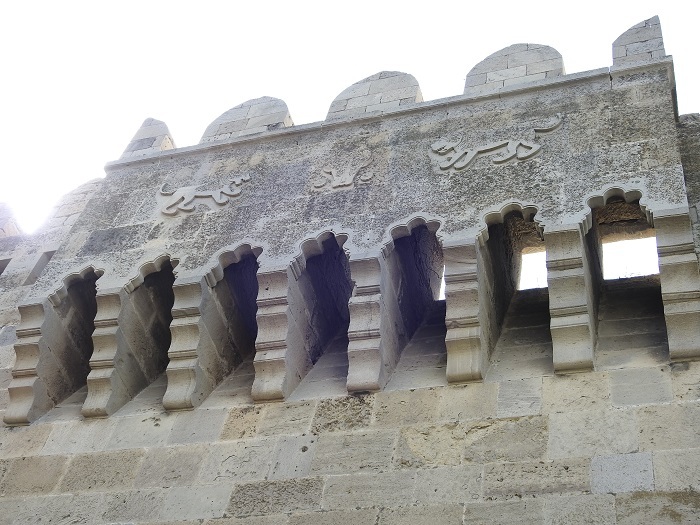 The Palace of the Shirvanshahs is a historic palace that was built by the Shirvanshahs, who were the rulers of the historical region of Shirvan in the eastern Caucasus, that is today located within the Republic of Azerbaijan. 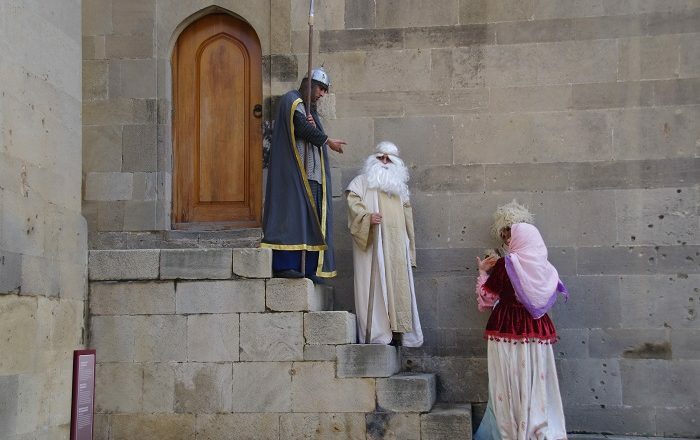 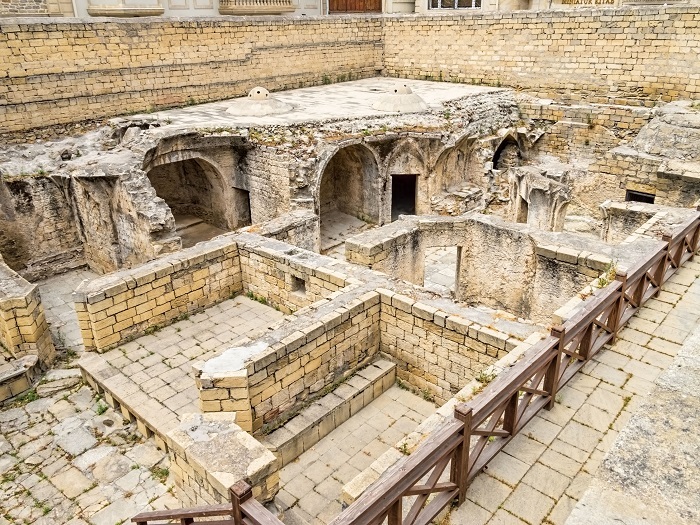 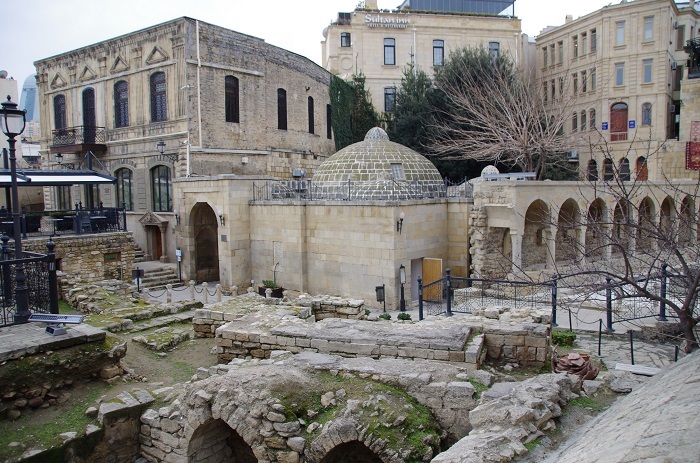 Located more precisely in the Inner City of Baku, the capital of Azerbaijan, this palace was built in 15 century under the rule of Ibrahim I of Shirvan, who also transferred the capital city from Shemakha to Baku due to a devastating earthquake. The time when this happened, Shirvan was undergoing a period of economic and cultural revival, and there was a major progress done in the arts, architecture and trade. 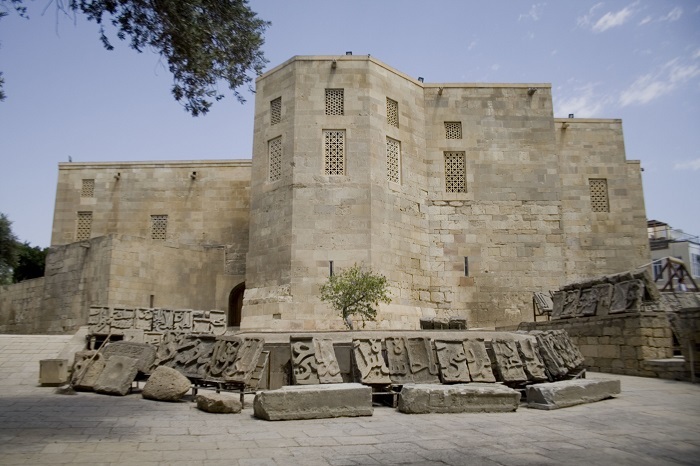 The complex of buildings that can be found within the premises of the palace are in big number, where the main building is probably the most interesting piece of architecture, as it is a two floors structure, where it numbers about 50 dimensions and outlines of the constructions connected with three narrow winding staircases. 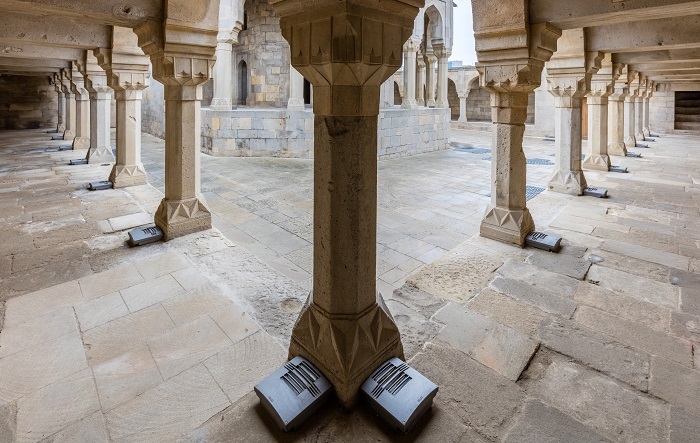 There is an interesting feature which is shown as a big lancet portal that directly leads from the courtyard to the second floor, into a high octahedral lodging covered with a cupola, and in addition to that, there is a small, octagonal vestibule behind it which connects it with the rest of the lodgings in the palace. 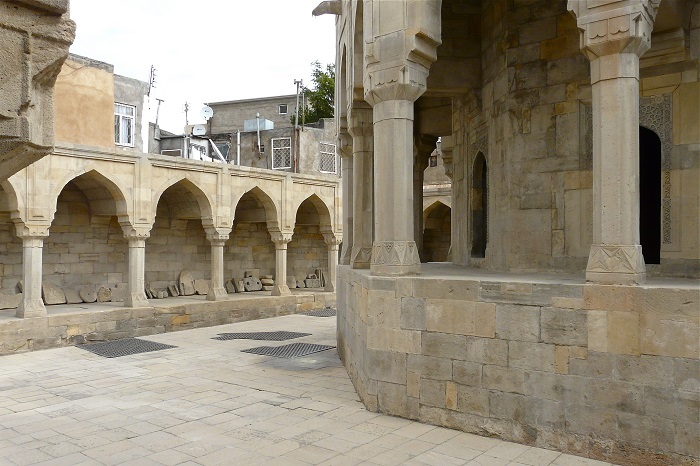 The Divankhana is a small stone pavilion, which is inside a small courtyard surrounded by an arcade gallery only on three sides. 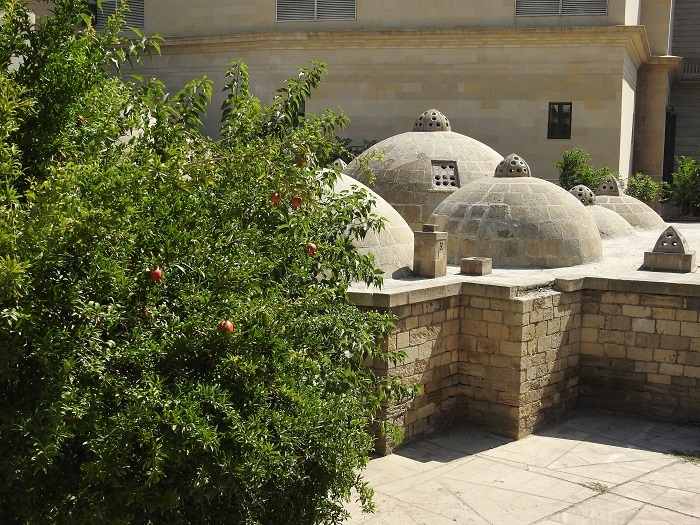 The Keygubad Mosque nowadays can be seen as a rectangular prayer hall which has a small corridor that is located in front of the mosque, and the interesting dome stands on four columns in the center of the hall. 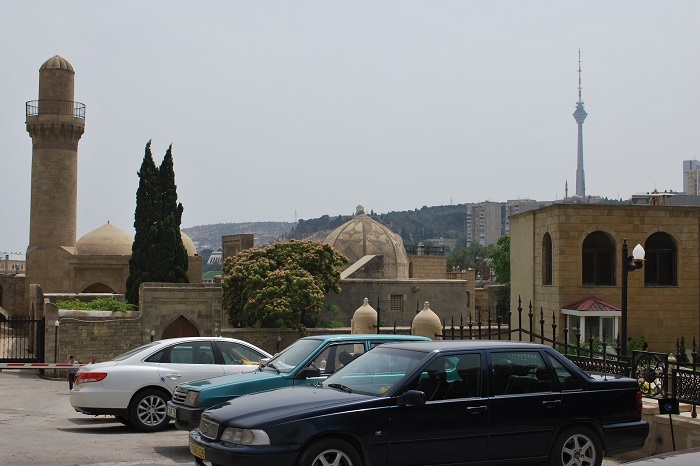 Another religious building is the Palace Mosque which is located in the lower court, which is different from the Kaygubad Mosque, as it has two slightly pointed cupolas with two chapels for prayers inside, and it is shaded by a well-proportioned vertical line of the minaret rising above in the northeastern corner of the building. 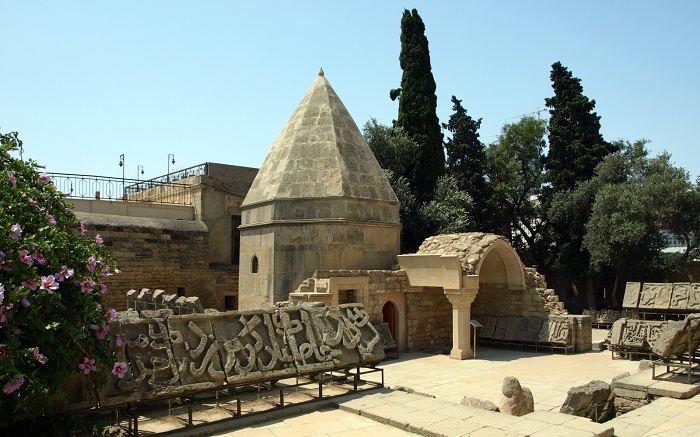 Furthermore, the Mausoleum of the Shirvanshahs has too a rectangular shape which is crowned with a hexahedral cupola that is decorated from the outside with beautiful multi-radial stars. 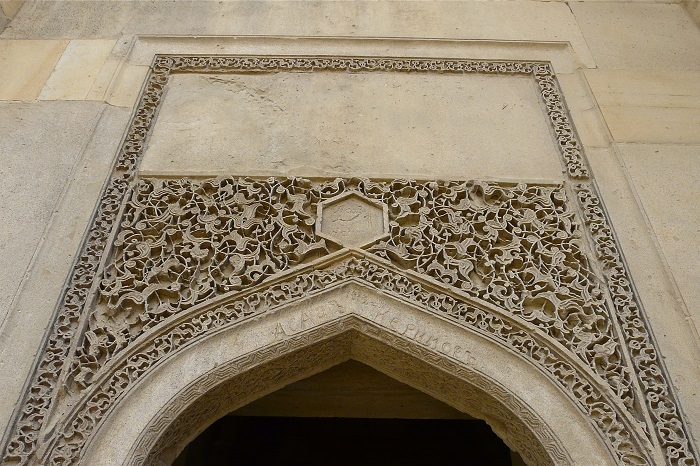 There is even an inscription on the entrance of the doorway that says: “Khalilullah I, the greatest Soltan, Great Shirvanshah, the namesake of the divine prophet, the defender of the religion ordered to construct this light burial-vault for his mother and son in 839”. 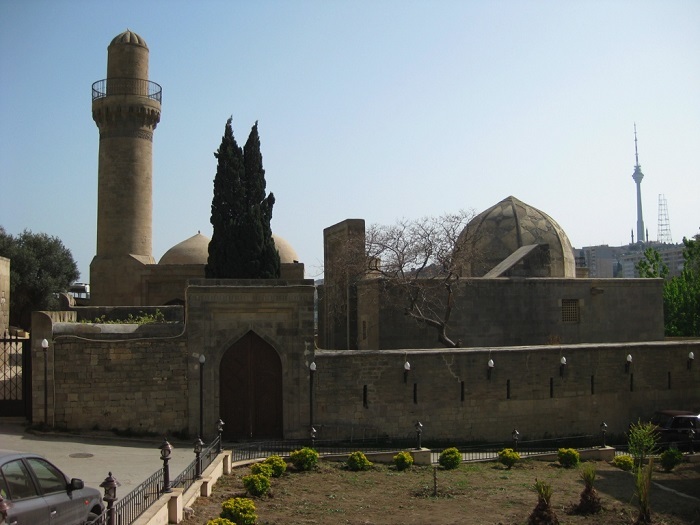 One of the most important figures of the palace complex was the royal scholar Seyid Yahya Bakuvi, who has its own mausoleum within the premises, more precisely in the southern part of the palace. 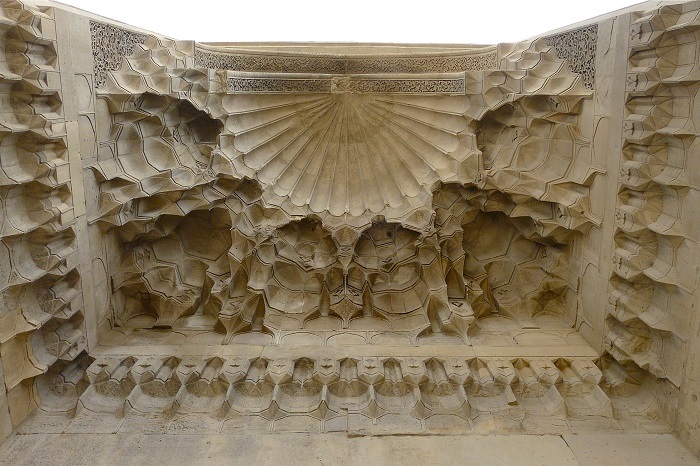 Nevertheless, there are plenty of other significant structures, pieces of religious and ordinary objects that deserve greater attention, which is why in 1964 the Palace of the Shirvanshahs was declared as a museum reserve, which went under considerable rehabilitation work in 2001 and 2002. 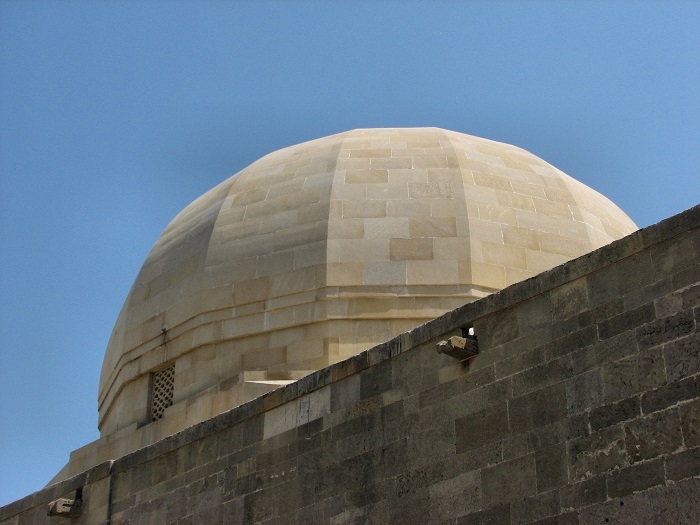 But that work is still ongoing with hope that the entire complex will shine in the impressive beauty it had when it was completed during the time of the Shirvan rulers, and as it is part of the UNESCO World Heritage Site list, it shall attract plenty of visitors who are allured in this Caspian republic.